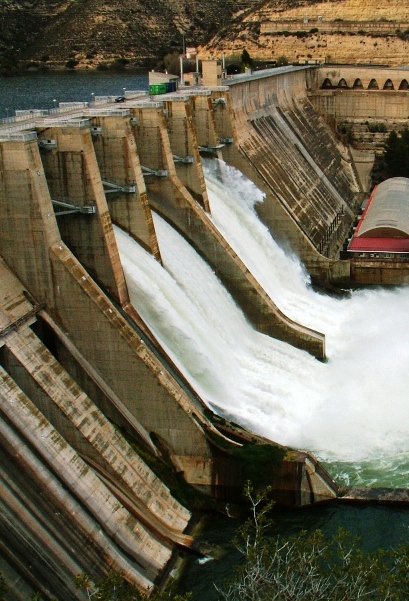 There has been a resurgence of interest recently in the development of hydroelectric power, particularly low-impact hydropower that could be developed at existing infrastructure of many western irrigation and water districts. Chairman Jon Wellinghoff of the Federal Energy Regulatory Commission (FERC), the federal agency with licensing jurisdiction over hydroelectric projects not owned and operated by the federal government, has said, "The intensified interest in developing renewable energy in this county has made hydropower an increasingly important player in the game....Small hydropower development has become a highly desirable option." Over the past couple of years, applications to develop new hydroelectric projects filed with FERC have increased significantly. In fact, FERC-issued preliminary permits (study permits) have increased from 75 in 2007 to 160 in 2010. FERC-issued licenses and exemptions for new project development have increased from a single project in 2007 to 23 projects in 2010. The vast majority of these new projects fall into the smaller-scale, low-impact hydro category. There are many ways to define low-impact hydropower, but the term typically refers to adding hydroelectric capacity at existing dams and water conduits. Of 80,000 dams on existing impoundments in the United States, only about 3 percent currently have hydroelectric generation. Many of these nonhydropower dams are water supply dams, serving irrigation needs or municipal water supply. In addition, there are untold numbers of existing water conduits that may have potential for adding hydroelectric turbines. Many water agencies that have not considered hydroelectric development in the past are now thinking hard about whether the investment in developing a low-impact hydroelectric project would be positive, either as a source of power for their own system needs or as a source of revenue through the sale of this renewable power to an electric utility. Potential developers should consider several key issues when deciding whether a new hydroelectric project is a feasible solution to their specific water and power objectives. The following 10 questions, developed through interviews with some of our clients that have developed small, low-impact hydroelectric projects, as well as our own experience in this area, are designed to assist in this decision-making process. 1. Is there hydroelectric potential at the dam or water conduit? This is an engineering question, the answer to which would depend on such factors as available hydraulic “head,” water flow and duration, and other site characteristics. 2. Would the project be economic? This also is an engineering question, at least initially, although there may be tax or other incentives available (as discussed below) that could improve the economic prospects of a project. 3. Would the hydroelectric project be located on the stream, at or below a dam, or would it be located on a municipal or industrial water supply or irrigation conduit?